Perennials are plants that continuously grow year after year, and do not die unless killed by extreme drought. Sometimes, certain types of these plants will stay green all year long if you have a mild winter. Some however, can go dormant. Some develop brown tops and look as if they are dead, but they are not. They are still living because their roots are still alive and will grow the following year. They look great in any garden. A good idea is to use these plants as a border in your garden, with annuals growing throughout. They need to store their energy so that they can grow again year after year. Therefore they do not stay for a whole season. Their flowers only last for a short part of the season. These plants have some of the most beautiful blooming flowers. 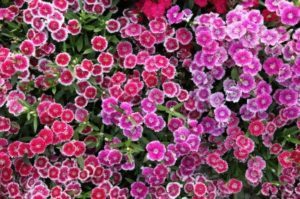 Aster Flower, Geraniums, Golden Rods, and Painted Daisy’s, are just a few of the many gorgeous kinds of perennials. While many do bloom flowers, there are also some that do not. Ferns are non-blooming plants. They look very pretty in a garden full of blooming perennials or annuals. 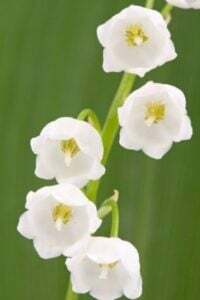 Another type of plant that does not bloom flowers, but is a lovely accent to your garden is Solomons Seal Plant. Solomon’s seal is an example of a perennial that can last through the cold of the winter, and the heat of the summer. While selecting perennials for your garden, there are some things you need to keep in mind. Some of these plants have a short blooming period for their flowers. Therefore, you need to make sure that the ones you pick have beautiful foliage that you do not mind looking at year round. Also make sure you know the weather conditions your plants need to be in, to sustain a long life. Wherever you are buying your plants from, check with the staff to make sure your plants can survive through a horrible heat wave, or a frigid, cold winter. To better protect your plants you can grow them in a controlled environment such as the OGrow Deluxe Walk-In 3 Tier 6 Shelf Portable Greenhouse which will give your plants protection from insects, animals, and inclement weather. The Flower House FHPH150 PlantHouse 5 Pop-Up Plant House is another great option that provides plants with the protection they need. Perennials are known for spreading. What once started as a small package of seeds quickly turns into a garden full of flowers. If you have a garden of full of them, and you really like the way they look, and you want to plant them in another spot in your yard, you can do that without buying more seeds. You can simply divide the ones you already have growing, and transfer them to another garden you would like to grow them in. In order to divide them you need to dig under the ground, deep enough to get the roots. Using either a garden fork or a spade, pick up a part of the plant from the root up. Separate the roots so that each part of the plant has a root coming out of it. Immediately take the plant to the new spot and plant it in the new flowerbed. Do this repeatedly for however many plants you want to transfer. These plants are really a lovely addition to add to any garden. They are the backbone to any great garden. Plant them all throughout your gardens for a great look all year long.